The summer brings scholars from all across the United States and the world to New York City’s libraries and archives. For the past three years, I have been introducing my undergraduate students to “doing history” with my former student Raymond Pun who is a librarian at the New York Public Library. In some ways, teaching undergrads to use archives is my day job. My other gig is that I have spent the last seven years doing drugs. . . . that is doing them in the archives and libraries in the city. My collaboration with Pun, as well as other librarians and archivists, has given me an opportunity to mine historical and contemporary sources that I never would have found without their knowledge and assistance. This list is not exhaustive, but rather it highlights a few public and private libraries and archives. The New York Public Library Stephen A. Schwartzman Building (SASB), the main research library, is the forth-largest library in the world and the second largest research library in the United States. The stacks stretch under Bryant Park as well as onto offsite locations in New Jersey. This lion guarded edifice is also full of drug paraphernalia in the form of novels, books, documents, images, maps, realia, and ephemera. The periodicals division where Pun is the librarian holds newspapers from around the world, but also Traffic in Opium and other Dangerous Drugs. 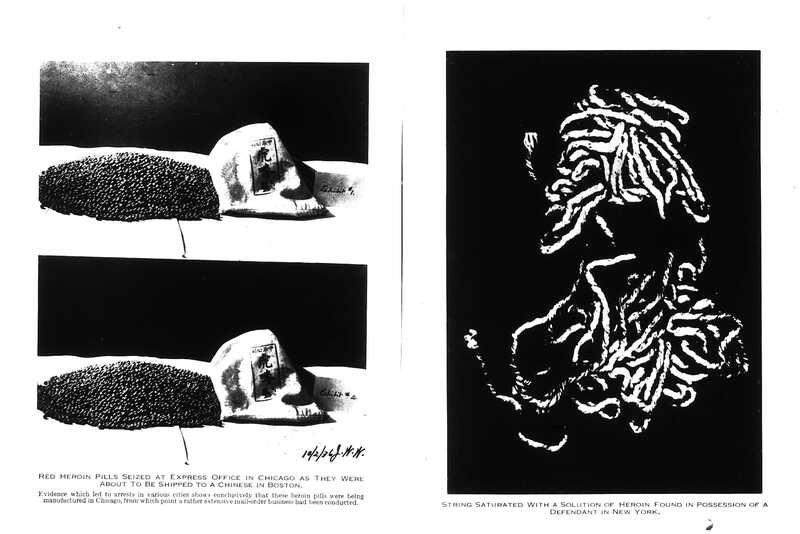 It was in the pages of that publication that I found the some early photos of seizures including heroin-infused fibers, a skill that continues into the present. Confiscated drugs as shown in Traffic in Opium and Other Dangerous Drugs. In the general reading room and the Wertheim Study, I have read early narco-novels and Mexican prison memoirs. One memoir was about the Mexico’s penal, Islas Tres Marías, in which the library was named for a resident librarian and notorious drug addict. Of course, there are plenty of other non-Mexican derivatives such as early editions of De Quincey’s The English Opium Eater as well some of his correspondence with writers. Jack Kerouac’s papers, as well as other Beat writers, are located in the Berg Collection. Librarian Anne Marie Belinfante explained that the Dorot Jewish Division, which was started by a tireless NYPL cataloger named Abraham Solomon Freidus, contains memorial books, oral histories of Jewish communities around the world, rare books, manuscripts, and documents. But it also possesses realia and ephemera such as Jewish Energy Drinks, Passover Honey beer, cookbooks, and a large collection of wine labels. Sticking with the addictive commodities of food and drink, Rebecca Federman, the Culinary Collections library, digitized one of the largest menu collections in the world. In a recent presentation to my students, Federman described how menus are tools for social and culinary history. For instance, she explained, during Prohibition many restaurants used menus to explain their policies regarding alcohol. Combined with other materials such as maps, newspapers, and local histories, a scholar could study how neighborhood restaurants’ menus and offerings changed before and after Prohibition. 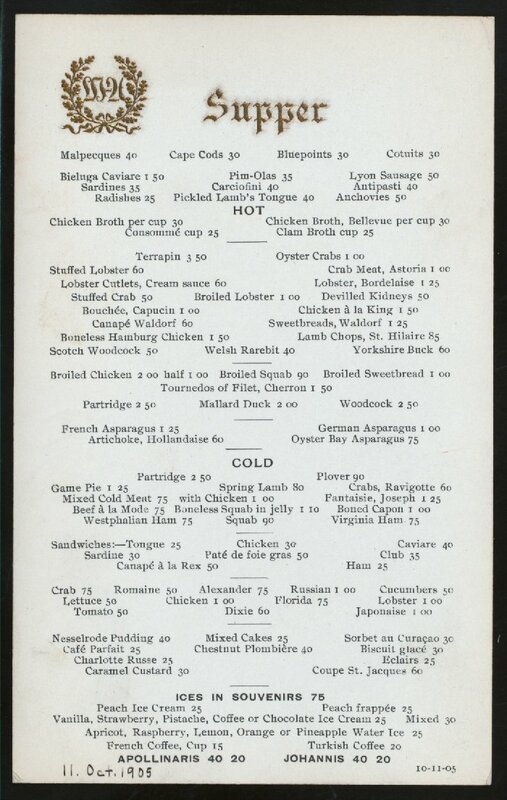 To study change over time, the collection holds menus from places such as the Waldorf Astoria, as well as other hotels, from different years. Moreover, scholars of food and drinks can assist the project in transcribing historical national and international menus too. To procrastinate in finishing this blog piece, I searched for tequila and its prices on historical menus in the U.S. and around the world. I plan to interject this bit of trivia whenever there is a lull in a conversation. The Lloyd Sealy Library at CUNY’s John Jay College of Criminal Justice focuses on social sciences, particularly crime studies. The library holds early criminology journals from around the world including Mexico’s Criminalia, which contains articles on early narcotics control and treatment of addiction. Perusing the stacks, there are amazing publications. One summer I ran across and read the full run of Narcofficer, which is like reading Mad Magazine without Alfred E. Neuman due to the articles’ Spy v. Spy riffs and the ads for gun and ammo dealers. Special Collections holds the papers of John Jay faculty member Flora Rheta Schreiber who wrote the book Sybil based on the work of psychiatrist Cornelia Wilbur. This book was required reading for any teenage girl coming of age in the 1970s. Recently, journalist Debbie Nathan used the archives for her research on her book Sybil Exposed divulging iatrogenic addiction, medical fraud, and scholarly duplicity. Nathan documents Wilbur’s use of narcotics beginning early in her practice. Wilbur prescribed and at time injected Shirley Mason, Sybil, with a host of drugs including sodium Pentothal, Dexamyl, Equanil (Milltown), Daprisal, Demoerol, Serpatilin, Ritalin, and Thorazine. As Nathan explains, Sybil is a story of multiple layers of addiction whether to drugs, money, or fame. Part of John Jay’s special collections is online. Crime in New York, 1850-1950 contains photos, mug shots, rap sheets, and court cases of prominent and not-so prominent New York City criminals. 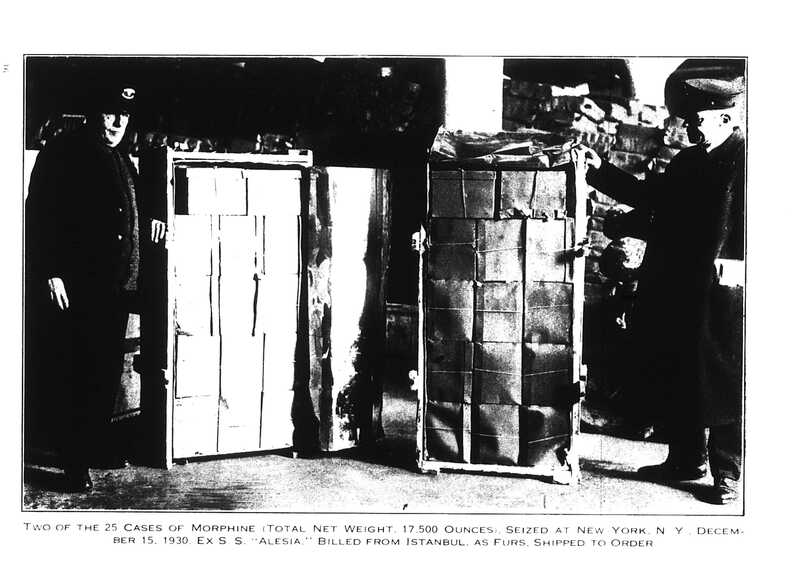 There are plenty of narcotics cases, but most are on microfilm rather than digitally available. 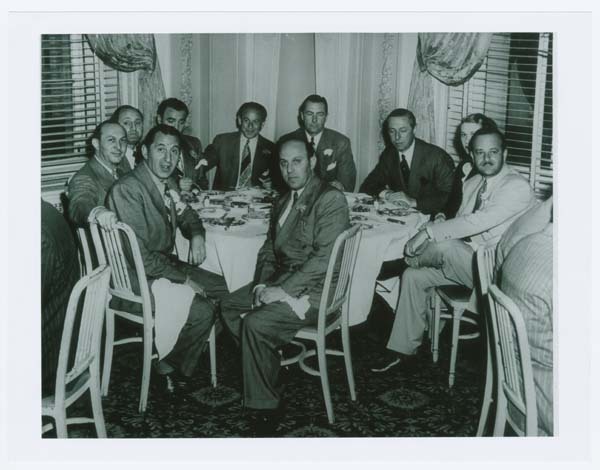 In the image collection, there are photos of prominent mobsters, even of some having dinner at the Waldorf Astoria. With the menu collection at the NYPL and the photos, a scholar could recreate the mobsters’ food and drink choices. Group of men seated at a table at the Waldorf-Astoria Hotel including Meyer Lanskey and Lucky Luciano. Burton Turkus Papers; Special Collections, Lloyd Sealy Library, John Jay College of Criminal Justice. The National Archives and Records Administration remains a vital tool for historians of narcotics, alcohol, and organized crime due to the records of the Drug Enforcement Administration and Department of Treasury The local NARA-NYC has also been a particularly important resource because of its large collection of transnational federal narcotics cases. Those cases are public, even trials that took place in the 1970s and 1980s. At NARA-NYC and most other archives, federal cases after 1930 are organized by docket numbers rather than the names of defendants or judges. The numbers may take some research, but using LexisNexis and Heinonline to search for appeals allows for cross-referencing of docket numbers. For any drug and alcohol researcher, medical libraries are another vital source. The New Academy of Medicine Library is an important resource on any global topic that pertains to health. Due to the long-standing collaborations between medical doctors and scientists from around the world, I have found histories of Mexican medicine, early eugenics publications, hospital reports, regional medical school programs, and early pharmacological studies. New York is home to an estimated 250 private libraries these include those that are part of private universities, private clubs, or membership libraries associated with a particular profession. The Kathryn and Shelby Cullom Davis Library, located at St. John’s University’s Manhattan Campus, was established in 1901 by the Insurance Society of New York. This collection has realia such as fire-markers, sprinklers as well as ephemera such as business dinner cards, notes, and pamphlets. It also houses insurances policies from the early 1800s, company directories, court cases, and a large collection on disasters. Most of the collection is un-cataloged which makes it fascinating because you never know what you will find. For those interested in drugs and alcohol, the collection holds the Records of the American Academy of Insurance Medicine. To study how addiction is insured or debated within the insurance industry, this is the library to begin such work. 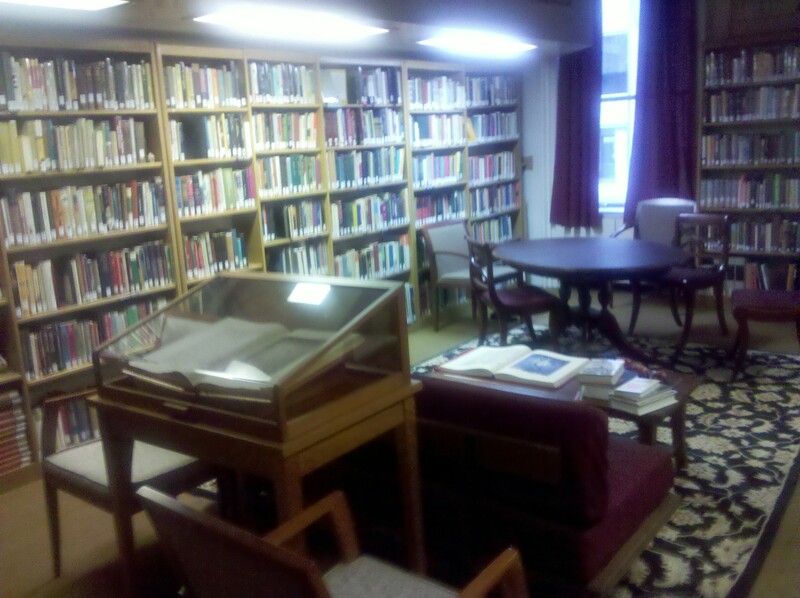 Another private library is the Kristine Mann Library at the Carl Jung Institute of New York. The focus of the collection is on Jungian psychology, important in any addiction and recovery studies. The library also holds films, taped sessions, documents, books, and some papers of Sabina Speilrein who recently gained greater renown with the release of A Dangerous Method. Along with acquisitions in psychoanalysis, the library collects and purchases materials on alchemy, mythology, fairy tales, symbolism, and art. In a brief visit, I have found interesting texts, images, and other material on the history, use, and cultural manifestations of narcotics around the world. The library is a quiet place to read and study within the city. Joining these are countless others such libraries and archives at local universities, the museums, and historical societies. Currently, the New York Historical Society has a current exhibition, Beer Here: Brewing New York’s History. It must be noted that this exhibition includes tastings. The American Museum of Natural History Research Library is for the scientists at the institution, but it also has public access. The AMNH has a highly organized collection on an array of scientific and anthropological topics, and thus it holds materials associated with the history of narcotics including early botany and scientific studies. The photo and lantern-slide collections are frequently used by historians and writers to visually capture a past moment, person, or event, and those alone are worth a visit. Despite Rudolph Guliani’s efforts to clean up the city, New York is still a great place to do drugs. Thanks Leni for this informative post. Would be wonderful if scholars working in the field of alcohol and drug in different countries and contexts could share and update similar information. I agree. It would inspire and assist graduate students starting out in the field while also helping more seasoned scholars who are seeking new sources. I am continually amazed by what I uncover through a couple of conversations with archivists and librarians. Plus, we need to create these types of collaborations for the purposes of maintaining collections as well as enhance development. All libraries and archives are experiencing similar economic situations to that of higher education due to the downturn. We have to bring our students, create collaborations, and see history practitioners as our research partners. The NYPL has a new exhibition, Lunch Hour NYC. Check it out. For the Don Draper and Mad Men fans, there is a power lunch. This is a very informative, helpful and entertaining post! This will assist in locating original historical information for my work on opiate use in the post-Civil War and post- Opium War eras. With Elaine Carey’s encouragement, I’ll make a few suggestions about temperance collections. Many years ago I consulted the Black temperance collection, New York Public Library, then at the annex building. Many of pamphlets and journals of proceedings were brittle. How well they have survived I don’t know. After James Black had assembled his massive collection, he donated it to a temperance society that in turn gave it to the New York Public Library. Probably most scholars know that the Ohio Historical Society has temperance materials that originally belonged to the Anti-Saloon League of America. They may not know that the OHS materials include numerous non-USA publications. Sadly, many rare materials have been lost. For instance, the National Union Catalog lists extensive non-Ohio material as belonging to the Western Reserve Historical Society and the Cleveland Public Library that these institutions no longer have.